I've been hunting for a "San Juan Scenic Tour " Jeep for quite some time now. In the Fall of 2004 I was given a lead on this truck by fellow Willys enthusiast Don Scott. At first it didn't catch my interest because of the obvious Monster Truck stance. I was looking for an original vehicle to restore, though the kid in me thought that it would be a cool addition to my collection! Well, on our trip to Ouray in October of 2004 I thought we'd take the southern route there and take a peek at it for a possible picture of the week shot. Needless to say, the rest is history! 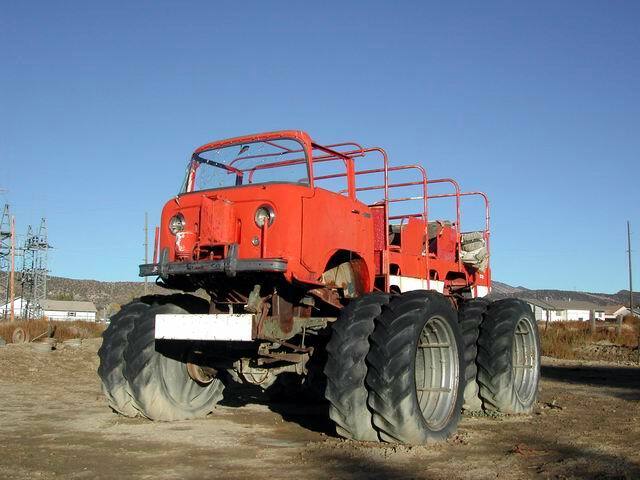 Follow the links below for more information on this strange vehicle.